For photos and videos please see www.rattlesnakeroundups.com. 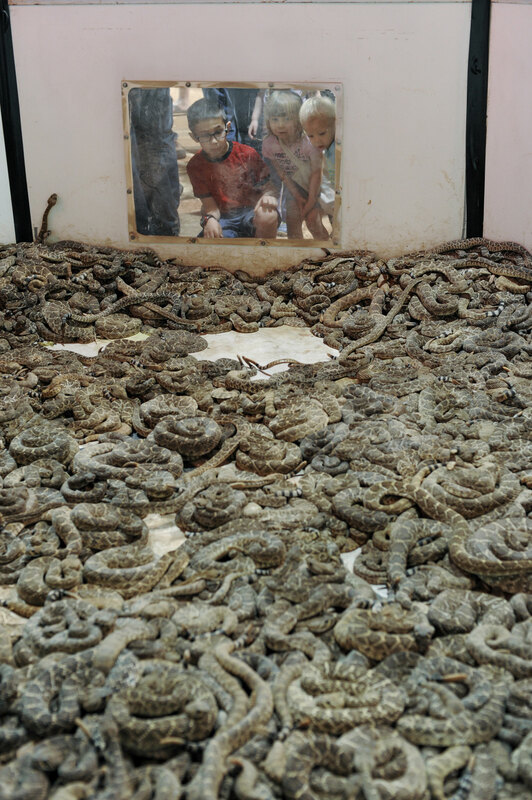 Plexiglass windows allow attendees to see into the Snake Pit, where thousands of wild-caught rattlesnakes are held before being beheaded and skinned. Photo by Jo-Anne McArthur.